In-house workshops also available. Group workshops available upon request. Gotleib & Associates conducts workshops to educate potential Verizon retirees on strategies designed with the goal of maximizing compensation from their pension plans. Our workshops are conducted by experienced financial planners who have been trained on the intricacies of the Telecom Cash Balance and Savings Plans. All attendees are given the opportunity to visit our offices and meet with our trained financial planners to review their situation. We discuss all options available to them. If they are in the position to maximize their cash out option and ready to retire, we will analyze their cash flow and develop an investment plan that coincides with their needs. 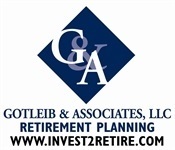 Gotleib & Associates simplifies preparation for retirement. We can help you complete all the necessary paperwork to apply for retirement. If we manage your retirement rollover accounts, we will monitor the investments and provide quarterly reviews of your account throughout your retirement. We do not utilize voice mail during normal business hours. When you call our office, your questions are answered immediately. When is the best time to retire to receive the maximum benefits? How will the changes to the company 401(k) plan affect my retirement? If you are offered an ISP (Income Security Benefit) & RIF (Reduction in Force), how will this effect my retirement income. How can I receive monthly income from my pension cashout distribution without penalties before age 59 ½? What are the pertinent issues in choosing between an annuity or a cashout? Register now for any of our workshops.